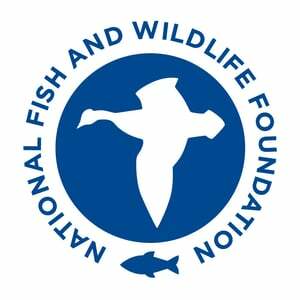 WASHINGTON, D.C. (December 19, 2017) –The National Fish and Wildlife Foundation (NFWF) today announced $700,000 in grants to conserve and restore habitats for at-risk aquatic species within targeted freshwater ecosystems of the Southeast. The grants will generate $1.71 million in match for a total conservation impact of $2.41 million. The grants were awarded through the Southeast Aquatics Program, a partnership between NFWF, the U.S. Forest Service and the U.S. Fish and Wildlife Service. The program this year is targeting two regions – the coastal watersheds of the Carolinas and the Apalachicola-Chattahoochee-Flint River Basin in Georgia and Florida. These watersheds were prioritized based on input from state wildlife action plans and the recently completed TN Aquarium and University of Georgia River Basin Center assessmen, which was funded by NFWF. This is the first year of the Southeast Aquatics Program. The program is designed around a habitat-based approach, benefiting a diversity of species and reducing the likelihood of future listings under the Endangered Species Act for at-risk species. This funding opportunity is expected to expand in its second year with the U.S. Department of Agriculture’s Natural Resources Conservation Service slated to join the funding partnership. To learn more about the Southeast Aquatics Program or to download the 2017 Southeast Aquatics Program grant slate, visit www.nfwf.org/seaquatics. Chartered by Congress in 1984, the National Fish and Wildlife Foundation (NFWF) protects and restores the nation's fish, wildlife, plants and habitats. Working with federal, corporate and individual partners, NFWF has funded more than 4,500 organizations and committed more than $3.8 billion to conservation projects. Learn more at www.nfwf.org.